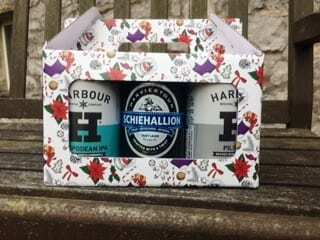 Our Christmas Beer Can Gift Packs are available in either 4 or 6 can packs. See also Transit Packs. They have a window front and back making an attractive display. There is a sturdy carry handle on top.